In many parts of post-socialist Europe the tumultuous political and economic developments have generated strong emotions, ranging from hope and euphoria to disappointment, envy, disillusionment, sorrow, loneliness, and hatred. Yet these aspects have been largely neglected in analyses of the profound transformations that have taken place in Central and Eastern Europe since 1990. 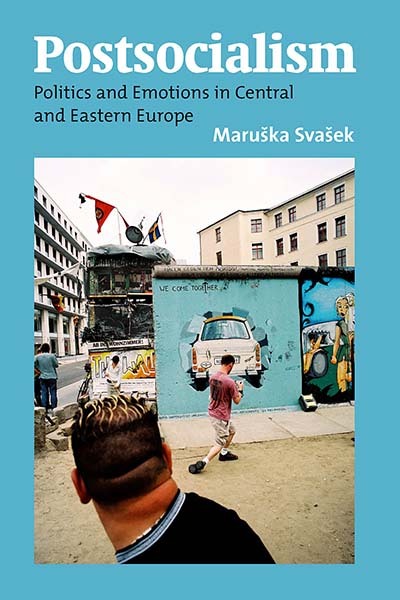 Based on a wide variety of ethnographic case studies focusing on Russian, Siberian, Romanian, Bulgarian, Slovenian, Croatian, Czech, and Polish communities, this volume proves the significance of emotions to post-socialist political processes as an inherent part of the transformations and sheds new light on the impact of local, national, and transnational political forces that have given rise to the resurgence of nationalist sentiments, increasing poverty and marginalization, conflicts arising from the restitution of state property, constitutional changes, and economic deprivation. Maruška Svašek is Reader at the School of History and Anthropology, Queen's University Belfast. Her main research interests include postsocialism, border issues, emotions, migration and material culture. She has published numerous papers in journals and edited collections on these issues. She is coeditor (with Kay Milton) of Mixed Emotions: Anthropological Studies of Feeling (Berg, 2005) and an editor of Focaal: European Journal of Anthropology. In 2007, she published a book on the anthropology of art, entitled Anthropology, Art and Cultural Production (Pluto), in which she applied the notion of emotional agency to the study of art and artefacts.